The Trans-Pacific Partnership (TPP) trade deal is currently being negotiated between the US and ten other Pacific Rim nation. The agreement is slated to further expand its membership, potentially to all 21 Asia Pacific APEC nations. The negotiations, which began in 2010, are being conducted in secret, without the opportunity for public scrutiny. 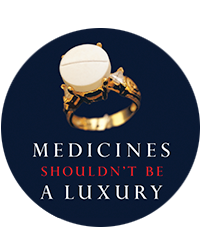 However, leaked drafts of the United States government’s proposals for some sections of the agreement reveal the inclusion of dangerous provisions that would dismantle public health safeguards enshrined in international law and restrict access to affordable generic medicines for millions of people in developing countries.